I am officially back at work and attended my first meeting with my fellow department chairs. One of my school's initiatives this year is cross-content literacy and we decided that we can support this initiative with an increased focus on vocabulary. 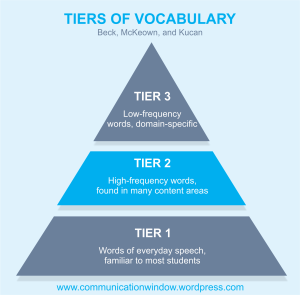 I explained the concept of tier two vocabulary, or words that are used across content areas to my colleagues. I advocated that we concentrate our efforts with these types of words. I used the word table to illustrate my point. At this point, we are still undecided about how to go about rolling out this piece of the initiative. 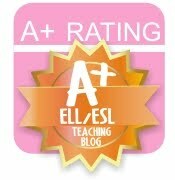 However, we decided that the first step was obtaining a list of tier two vocabulary words. I found this list and will share it at the next meeting.